. Inoue T, et al. Two cases of gastrointestinal perforation after radiotherapy in patients receiving tyrosine kinase inhibitor for advanced renal cell carcinoma. World J Surg Oncol. 2012 Aug 20;10(1):167.
. Bowen JM, et al. Development of a rat model of oral small molecule receptor tyrosine kinase inhibitor-induced diarrhea. Cancer Biol Ther. 2012 Nov 1;13(13).
. Sun FK, et al. 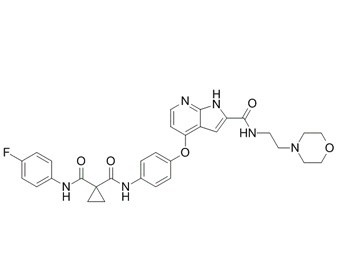 Multi-targeted tyrosine kinase inhibitor sunitinib: a novel strategy for sporadic malignant pheochromocytoma. Chin Med J (Engl). 2012 Jun;125(12):2231-4.